Give for a future in which Muslim women in Minnesota are uplifted, seen, and celebrated. Join the Sisterhood in our mission to amplify the voice and power of Muslim women. In 2011, Nausheena Hussain entered the nonprofit world as a newly minted grant writer. She observed in the Muslim community that there was an abundance of charitable giving and wealth, but it was all individual donor based. She also noticed women were donors, doing the work, but never acknowledged or in leadership roles. Coupled with anti-Muslim rhetoric, a rise in discrimination and hate towards Muslims, she realized something needed to be done. 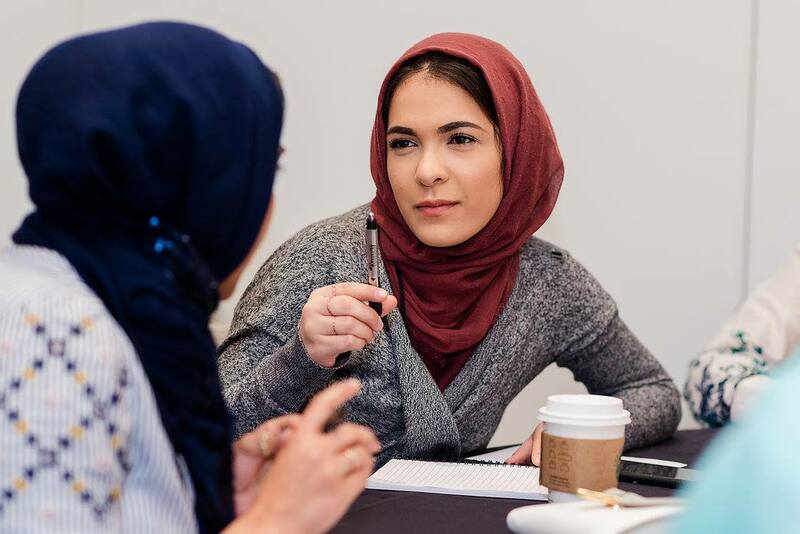 So, in September 2015, Nausheena met with a handful of Muslim women to talk about female leadership, civic engagement, community involvement, and philanthropy. From these conversations, the women realized we needed to build a sisterhood and through it create more sustainable change. That was the launch of Reviving the Islamic Sisterhood for Empowerment (RISE). As the network grew, it became apparent that many many women were creating an impact in their communities but were going unseen. Reviving Sisterhood has become a platform to amplify the voice and power of Muslim women showcasing the changemakers, the trailblazers, and leaders having social justice impact in our society. We host networkers, workshops, and events focusing on leadership development, community engagement, and philanthropy. Through this work, we change the narrative and define the Muslim American Woman’s story. Get in touch with the Sisterhood! Email us at contact@revivingsisterhood.org.